Offer expires on midnight 24 March. The voucher appears to have no expiry date so if you save it, don't forget to use it! I should add that the conditions state "Offer limited to one voucher per person." There have been occasions where people have used multiple emails/cards to buy multiple vouchers from Bespoke and they've had issues redeeming them or completing the purchase. Hasn't this already been posted before? Cheers op. Just got one. Yes, Waterstones has reserve and collect services. I used it yesterday. •	The ‘Voucher Expiry Date’ does not affect the validity of your e-voucher, which has no expiry date. By the way, it seems to be a e-voucher for online. R&C is for in-store … By the way, it seems to be a e-voucher for online. R&C is for in-store collection. You pay at the till, so I don't think you can use this voucher though. You can pay online and collect in-store. At least I have done that before. Can you use multiple vouchers? Ah, yes, you are right, just read on their website. Thanks! How is it being greedy? I saw that but since it appeared limited to certain people figured it would avoid confusion and just be easier to post a new deal. It shows as an available offer on my account but will not let me pay for it, tried a few cards too. It shows as an available offer on my account but will not let me pay for … It shows as an available offer on my account but will not let me pay for it, tried a few cards too. That's a regular issue with bespoke. Seems to happen whenever there's a particularly good offer. I just tried with the same card three times. It worked on the third go. Seems like you have to take out a new bank card for every offer. Cannot get any of my three cards to work and had same problem last month. Get off your high horse mate, it's a site for finding deals and saving money. By your definition EVERYONE here would be considered greedy. Get off your high horse mate, it's a site for finding deals and saving … Get off your high horse mate, it's a site for finding deals and saving money. By your definition EVERYONE here would be greedy. The conditions explicitly states "Offer limited to one voucher per person." Saving money is always nice, but the site encourages its members to play by the rules of the retailer by not using exploits. Get off your high horse mate, it's a site for finding deals and saving … Get off your high horse mate, it's a site for finding deals and saving money. By your definition EVERYONE here would be considered greedy. Those that grab loads of them spoil it for those that come along later and find out that they have all gone. bought one but how on earth do i add it to my waterstones account???????????? HELP!!! bought one but how on earth do i add it to my waterstones … bought one but how on earth do i add it to my waterstones account???????????? HELP!!! You can't add it as an e-voucher in your e-wallet. You are only allowed to apply it as a giftcard while checking out (and only one code per order). Strictly speaking it should not be advertised as an "e-voucher" as these could be applied to the e-wallet in advance and I guess some people would have been able to get their hands on multiples of these so that they could be used on one order. Good deal used a couple on some lonely planet guides! Seems like you have to take out a new bank card for every offer. Cannot … Seems like you have to take out a new bank card for every offer. Cannot get any of my three cards to work and had same problem last month. You can't add it as an e-voucher in your e-wallet. You are only allowed … You can't add it as an e-voucher in your e-wallet. You are only allowed to apply it as a giftcard while checking out (and only one code per order).Strictly speaking it should not be advertised as an "e-voucher" as these could be applied to the e-wallet in advance and I guess some people would have been able to get their hands on multiples of these so that they could be used on one order. So you saying these can be stacked? Yes this confused the heck out of me. The Waterstones "e-voucher" is not the same as what Bespoke Offers call an "e-voucher". "How do I pay for my Reserve & Collect item?" You will pay for your reserved item in the Waterstones bookshop when you collect it. The price to be paid will be the price advertised online when the Reserve & Collect reservation was made. "Can I use online voucher codes when paying for a Reserve & Collect item?" No. 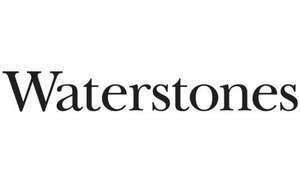 To take advantage of online voucher codes, items must be ordered and paid for on Waterstones.com. Can anyone answer whether these codes can be stacked to place one order please? Can anyone answer whether these codes can be stacked to place one order … Can anyone answer whether these codes can be stacked to place one order please? There have been occasions where people have used multiple emails/cards to … There have been occasions where people have used multiple emails/cards to buy multiple vouchers from Bespoke and they've had issues redeeming them or completing the purchase. Which companies have people had a problem with? Managed to purchase one, but won't go into their e-wallet! Ahh blast it!!! What I had tried to say was that if it was a true Waterston's e-voucher then they could be added/stacked in the online e-wallet, but Waterstone's actually treats these like a giftcard and therefore could only be used one at a time on checkout ie one per order. The conditions explicitly states "Offer limited to one voucher per … The conditions explicitly states "Offer limited to one voucher per person. "Saving money is always nice, but the site encourages its members to play by the rules of the retailer by not using exploits. Thats funny cause I've saved a ton of money due to exploits thanks to this site. Killzone PS4 for 85p just the other day infact, and the H&M offers where we essentially got clothes for free!